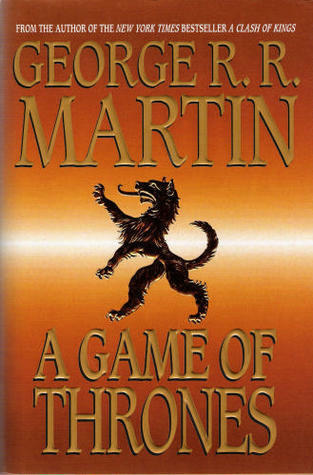 I couldn’t help but chuckle at and sympathize with your reactions to George R. R. Martin’s A Game of Thrones. I read the first book in the A Song of Fire and Ice series several years ago after picking up a used copy in Camelot Books in Fountain Valley. I found A Game of Thrones to be well-written and interesting. I went back and picked up the other three books a short time later. The second and third books were ok but not as good as the first; the fourth was a great disappointment – nothing but tying up loose ends with, mostly, minor characters. Last year one of my students, a seventh grade boy, was reading the fifth book, A Dance with Dragons, during our twenty minute Homeroom/Reading Break and I struck up a conversation with him about the series. Here was a kid reading fantasy at the same age I had discovered Tolkien and C. S. Lewis. He later gave me a copy of Dragons as a retirement gift (after forty years in junior high/middle school). I took the book on vacation and was about halfway through when I discovered, in North Dakota, that I had left the book in Minnesota. I understand the way you feel about the HBO series based on these novels. I am a fan of the genre and I can’t seem to get excited about the series. Some of the individual episodes are quite good, but something is lacking. I want to like it and look forward to what is coming – but it just doesn’t seem to matter. Maybe it just doesn’t equal what I have in my imagination, Jon and Daenerys sure don’t. The Rest? I don’t know. Tolkien needed four books to tell his story; Martin needs six (The Winds of Winter), seven (A Dream of Spring) or more to tell his. What was really necessary was a good editor and/or publisher who was more interested in quality rather than quantity and money. The story and characters would have made a good trilogy with, maybe, some of the plot lines and characters transported into another storyline. Who knows, with luck Martin will finish A Song of Fire and Ice as well as he started it – and in the not too distant and wordy future. Thank you for your note, Joe. I was a big fan of Lord of the Rings as a kid; I read the books several times by the time I graduated from high school. But for some reason I never progressed beyond that in the fantasy realm. If I recall correctly, an attempt at the Gormenghast books did me in. I hope Mr. Martin gets around to finishing his series. I gather his slow writing has become something of a joke in the fan community. As for the show, it often seems that fans of books are let down when the characters that they pictured in their minds become “fixed” in real people for TV or movies. There is bound to be disappointment. I hope you enjoy finishing the book when you get back to mosquito country.